Elegance Coral is a large polyp stony (LPS which keeps its colorful polyps extended during the day. 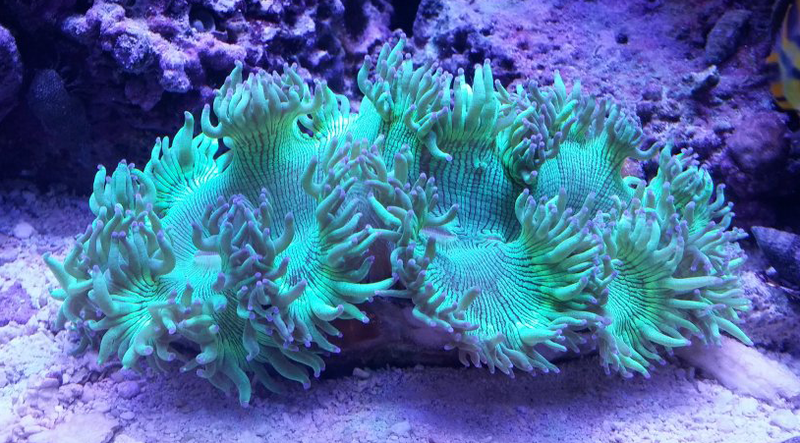 This is one coral that is good to show off under actinic lighting because of its fluorescent qualities. 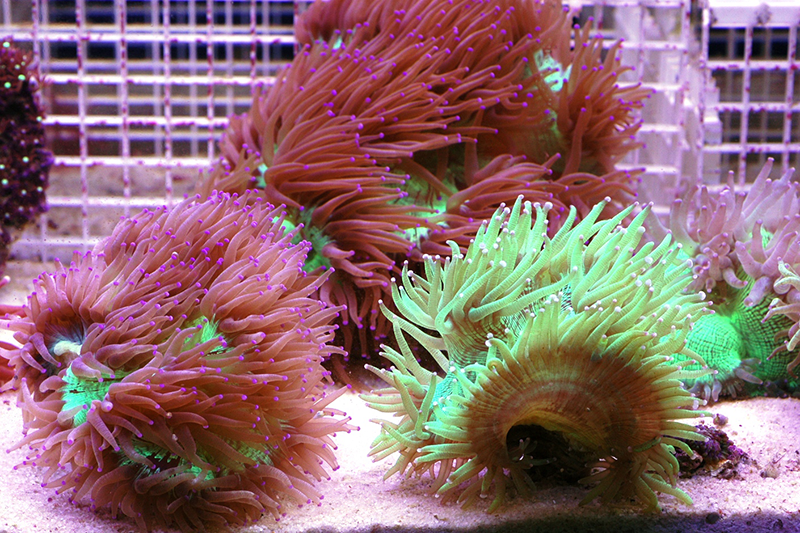 The most common color is gold with pink or purple-tipped polyps. The Elegance Coral also known as Catalaphyllia is moderate to maintain in the reef aquarium and makes an excellent choice for the beginner to expert hobbyist. Provide ample space between it and other neighboring corals as it will sting other corals near it. This medium light and medium flow coral does best when placed into a soft substrate away from rock that can. Irritate the fleshy underside of the coral. Clownfish may accept this coral as its host if no anemone is present. As with other LPS coral for continued good health, it will also require the addition of calcium, strontium, and other trace elements to the water. It will benefit from additional food in the form of micro-plankton or brine shrimp. For more information about the Elegance coral and where to buy this amazing coral near Phoenix, 85281 please contact our coral and fish store or call (602) 861-6728 today.